Over the last year, I’ve had the privilege of working alongside some amazing Minnesota small businesses. When you dive in to talk about their taxes, accounting and small business, you get pretty intimate with their operations. I’ve created FeedbackWRENCH Web design, SEO and business development in order to come alongside business owners that know how to execute, and help make the web their best employee. I’ve found that developing a web presence with an eye on Google’s top priorities, allows local businesses to win. More than anything, I’ve come to appreciate small businesses that have been able to build a ton of momentum even though social media, their website, and Google, isn’t really doing anything for them. Business owners that know how to deliver results, are the ones that have grown to a certain point based on word-of-mouth referrals. 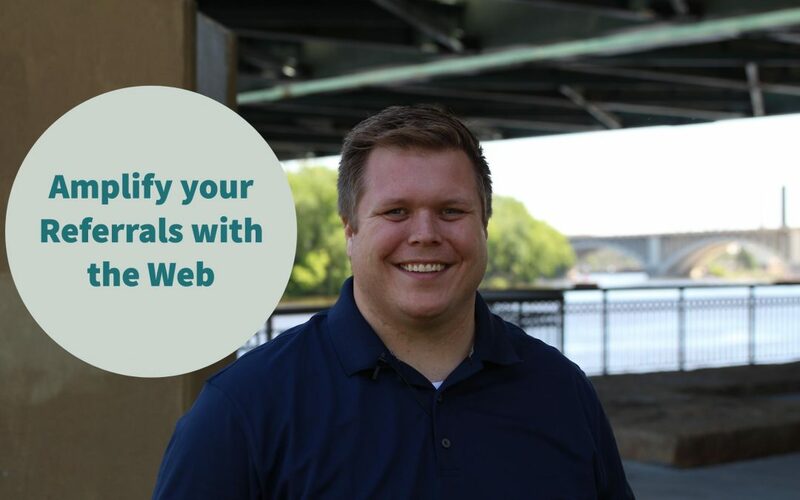 Everyone in business knows that a word-of-mouth referral is the best way to grow your business, and I’ve found that a web presence is remarkably helpful in supporting referrals. A referral is the best form of marketing, but there is difficulty when it comes to referrals. I believe that developing a great web presence, and business development plan, should be built around a word-of-mouth referral culture. 1 – You can solidify the trust you’ve earned it. A word-of-mouth referral is wonderful because it takes the trust that you’ve earned with one person, and transfers it to another. Trust is all about delivering at, or above, the expectation that you set when you took the sale. In order for a company to cultivate a word-of-mouth referral relationship, they need to be focused on meeting or exceeding expectations, and doing it in a manner that gains the favor of their client. That means that you need to do a good job, exceed expectations, and build a solid relationship with the people you’re working with. A web presence can utilize what’s called “social proof” through online reviews, featured testimonials, and social media support. What a small business owner performs outreach for their online reputation, they will be able to build up their Google reviews, and other online experience measures. This solidifies the trust that they’ve built. One great thing that a business owner can do is feature the reviews that they’ve earned on their website. By showing people that there are bona fide, authentically satisfied clients, you can provide this “social proof.” that prospects will be looking for as they scan your web footprint for reasons to work with you. One of the most difficult things about a referral, is that it relies on chance when it comes to timing. A business owner has to work really hard in order to create an evangelist out of their clientele, and then they also need to find ways to encourage them to have more conversations about the industry and working with you. That means that not only do you need to have an evangelist, but they need to be having the kind of conversations that are helpful for you in order for a referral to happen. I mean, what good is it to have someone that loves your Spa services, if they never have a conversation with their girlfriends about their hair, nails and makeup? But at the foundation of good search engine optimization, is a strategy to solidify the trust you’ve earned by capturing online reviews and back links. What this does is immortalize, at least for a period, the referral you’ve earned. Google has provided ways for business owners to show the trust that they’ve earned through their online reputation on a google my business page, and by having other websites show their support by pointing to you on their own website. Rather than trying to pressure a person into having more conversations about your industry or sector, you can ask them to provide an online review which will solidify that referral for a long time. when I referral is placed on Google reviews, as a testimonial on your website, or is done in any other online fashion, it basically immortalizes that referral and allows it to be portable two people that your client doesn’t even talk to. There’s only so much time in the day, and business owners can leverage their ability to connect and talk with people when they use technology. While word-of-mouth referrals are the most valuable kind of business development tools, technology allows you to connect with more people, on a larger spectrum, than relying only on your “in person” conversations. People can use sales automation, email marketing, social media, video and a host of other tools to help connect with people so that others can understand what it is that they do. While nothing replaces trust or a relationship, a well strategized and executed web presence will serve as leverage for what you do in the real world. We exist to help business owners go from good to great, by serving as their outsourced marketing, SEO, web presence.